Personality traits directly impact driving behaviors and when conflicts arise, they create a potential for an automobile accident. 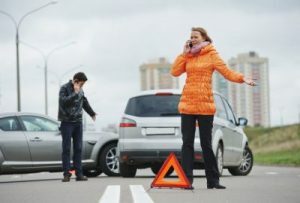 Preventing motor vehicle accidents caused by personality conflicts requires drivers to proactively monitor the behaviors and actions of other motorists on the roadway. There are many personalities that drivers should watch for on the road. These include timid drivers who may drive slower than the speed limit and hesitate when making turns or exiting the roadway. Motorists should avoid becoming an aggressive driver around timid drivers. This means that motorists should cautiously and calmly pass them by and move on down the road. There are aggressive drivers who try to be first in line no matter how fast that line is moving. These drivers typically edge into traffic with little to no thought of the safety of drivers around them. When aggressive drivers are present, it’s best to give them their space and allow them to get away as fast as they want. Aggressive driving is a crime and motorists can report this to law enforcement agencies who can contact the driver. Distracted drivers are also an increasingly common threat to motorists in Nevada. These drivers are more concerned with what’s on their phone or on the radio than what’s in the road. Distracted drivers are incredibly dangerous and should be closely monitored until such time as is possible to safely overtake them. Drivers should avoid flashing lights or honking as these gestures designed to awaken the driver can be perceived as aggressive…if of course, they even notice at all. Finally, there are the drivers who are convinced the highway is a raceway in Indianapolis. These flashy drivers often have fast cars and like to show off the power of their vehicle. These drivers may challenge other motorists to race. When they do, it’s best to surrender the challenge and let them enjoy their hollow victory. Motorists should never allow the actions of other motorists to affect their personality and response to driving situations. Staying calm, cool, and collected is the best way to avoid a motor vehicle accident regardless of the personalities encountered on the road. When a driver is driving dangerously, assessing the situation and responding appropriately is the key to safety and preventing the possibility of personal injury or wrongful death in Nevada.